Ownership opportunity in Oak Park's thriving Triangle District. 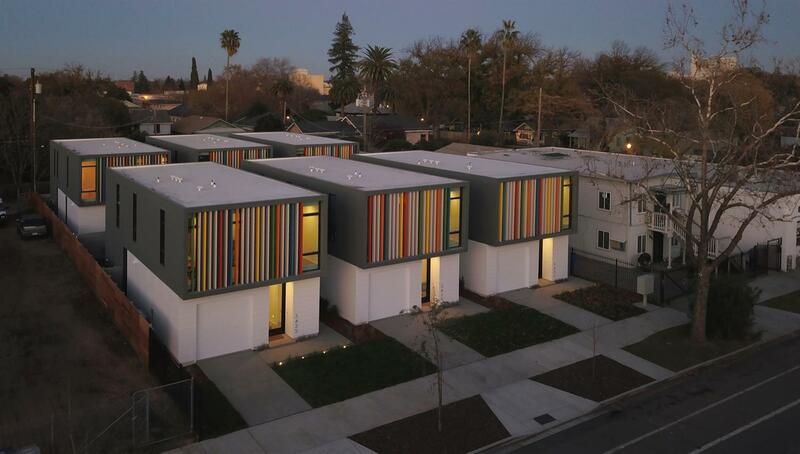 This Alley residence features thoughtful and engaging design within an award winning community, with rare availability. Enjoy daily inspiration care of the lively colored louvres and resulting shadow play throughout the day- in addition to polished concrete floors, light filled interiors, euro style frameless cabinetry and superior quality of construction. Petite rear yard is fenced for pets and features a low maintenance Native CA landscape. Complimented by the many local establishments within walking distance, exuding the flavor and vibrancy known solely to Oak Park. As reflected in aerial imagery, the subject property is an Alley fronting home-located to the rear and nearest to the wood fence. Builder: Indie Capital Constructors, Inc.